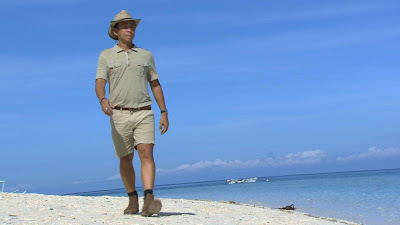 Kim Atienza goes back to Bohol for another nature tripping adventure as he explores the wonders of Pamilacan Island and meets its famous “Tarsier Man” this Sunday (September 10), 9:45 am on “Matanglawin” on ABS-CBN. Watch Kuya Kim as he visits several animal friends like spinner dolphins and meet a tarsier hunter turned tarsier protector, who locals and scientists go to for information about the exotic animal. The award winning educational program host will also try out the local delicacy “Takla” and hangout with Badjao divers, who can hold their breaths for a long time. Catch all these in the country’s most awarded educational program, “Matanglawin,” this Sunday (September 10), 9:45 am on ABS-CBN and ABS-CBN HD You can also watch online via iwantv.com.ph and skyondemand.com.ph. For updates on the program, follow @MatanglawinTV on Facebook and Twitter.